On January 6, we celebrated the Feast of the Epiphany, when three learned people from the East followed a bright star to find and pay homage to the baby Jesus. Called Three Kings Day in the Spanish speaking world, it's a time for joyous celebration for most in Mexico, Central and South America and the Spanish-speaking Caribbean. 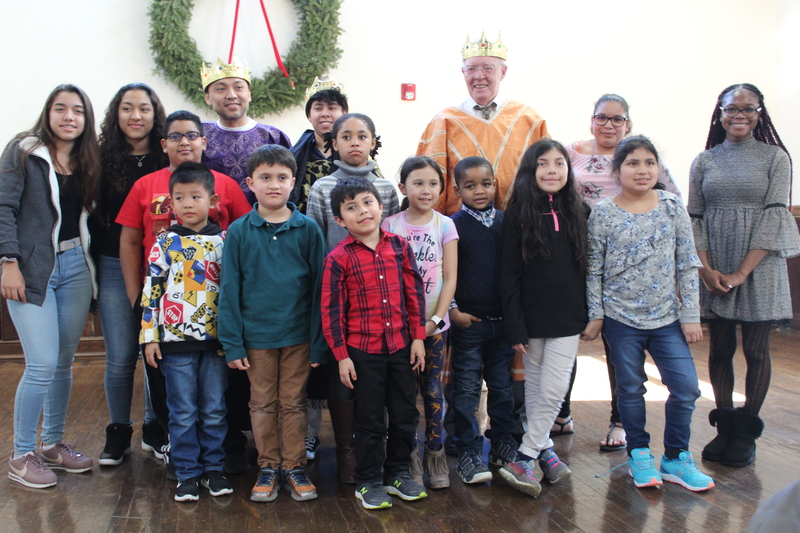 And at St. Alban's, our Latino congregation (San Albano) hosts a Tres Reyes party for the entire congregation. 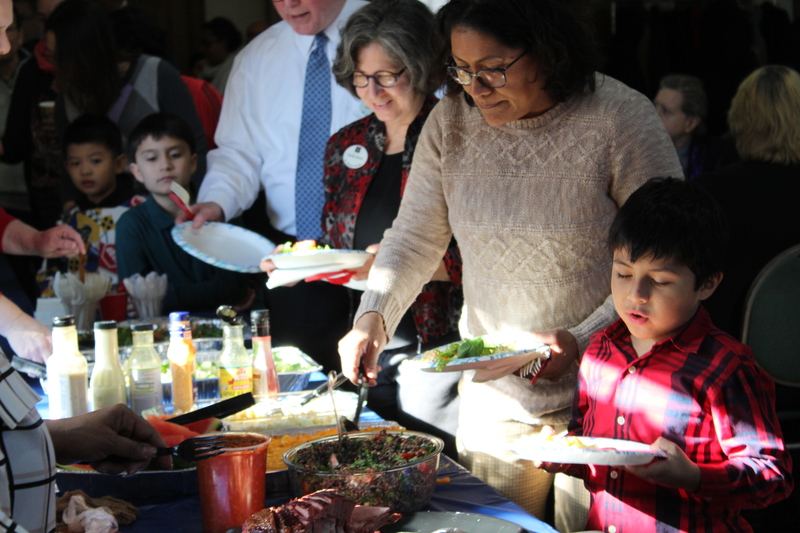 This year, the pot-luck event drew a full house of about 70 congregants and guests and featured traditional foods from some of the dozen countries of heritage represented at San Albano. 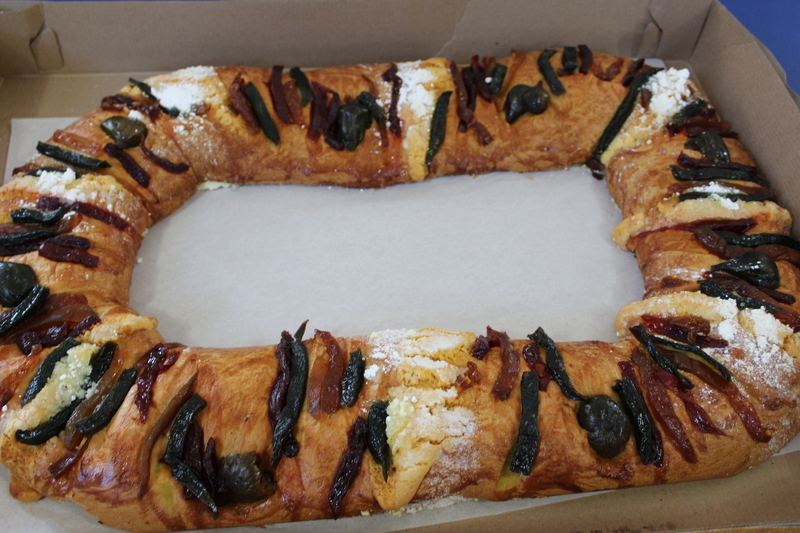 The Tres Reyes celebration has occurred annually since the Spanish-language service began almost a decade ago. Adults and children alike look forward to it all year, as it has something for everyone. 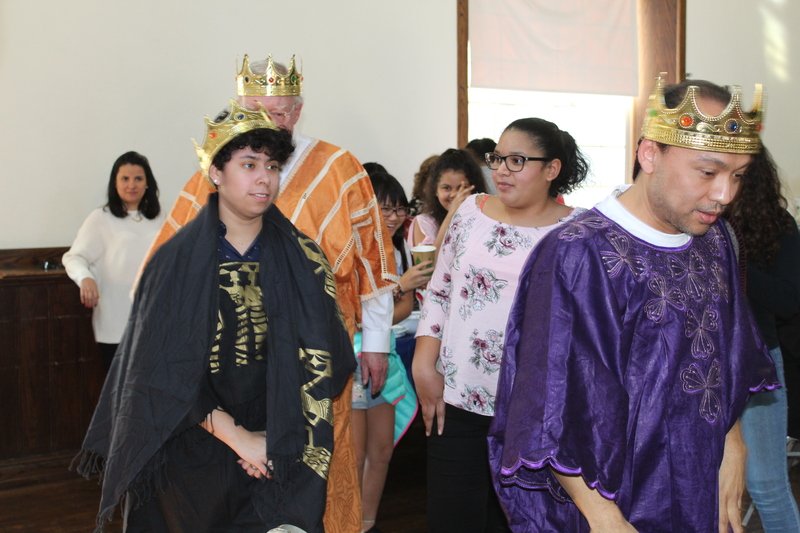 One St. Alban's tradition is to recruit three adults to dress as Kings and distribute gifts to the children. In most of Latin America, Christmas Eve “noche buena” is the traditional family celebration, with a dinner and gifts opened at midnight. January 6 is for the children, with traditions such as writing letters to the Three Kings with requests for gifts, usually left in a shoe. In Cuba, hay is left in shoes for the camels carrying the Three Kings. In other countries, children have photos taken with the Kings much like kids in North America have their pictures taken with with Santa Claus. Consistent throughout these countries on January 6 is an act truly in the spirit of the season, reaching out to the less fortunate on this day to provide food and toys for those who may not have had the means to celebrate. In Nicaragua, food for the family is the priority with toys for the children according to the means of the community. The tradition of identifying those in the town who are needy or visiting an orphanage is common practice in many countries. Another San Albano tradition is to provide a piñata, a paper mache animal or star, which the children delight in striking with a stick until it breaks and candy cascades to the floor where they scramble to retrieve it. The piñata is common in Mexico, and while it's not a traditional part of Tres Reyes, one of our Mexican congregants says some homes have piñatas during the nine days leading up to December 24, the “posadas” when groups of adults and children go door to door emulating Mary and Joseph's unsuccessful quest for a room at the inn. It is customary for Latinos to attend church services on January 6. This year, because the date fell on a Sunday, the meal and festivities occurred immediately after the regular 11:15 service. Regular attendees at the Spanish and English-language services, guests from Japan, Paraguay and Spain made our celebration truly multicultural. The Rev'd Debbie Kirk pointed out that the the New Testament does not describe the travelers on that day as Kings but as wise ones. Since women can be wise, we asked Karina from the Spanish language congregation to be our trailblazer and act as one of the three. As always the children delighted in receiving gifts and having a shot at breaking the piñata. 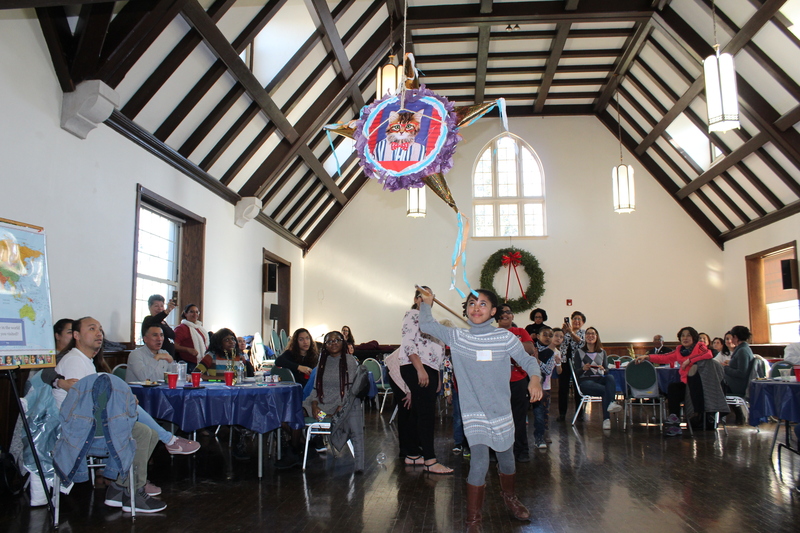 Inviting children and parents from the broader congregation is a way to be inclusive and to expose US-born congregants to other cultural practices in an atmosphere that is fun for all. Keeping with tradition, there is a cake contains a small doll representing baby Jesus. Whoever receives the piece of cake containing the figure is required to perform some service to the guests. This varies from country to country, from preparing a Mexican food called a tamale for the host in February to hosting the party the next year for all the guests. There is no such tradition at St. Alban's, but all of us were reminded that we should remember to keep Jesus in our hearts all year, whether we found him in the cake or not.